Purchase a Gift Certificate through PayPal! PayPal Gift Certificates make purchasing with Knife Merchant online easy. Or Purchase a Gift Certificate through Knife Merchant. Please note, Knife Merchant Gift Certificates are not redeemable online. 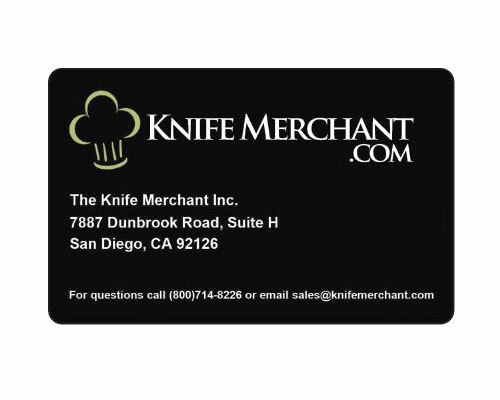 Customers must call us at 800-714-8226 to redeem a Knife Merchant Gift Certificate.